One of my favorite things to do, and Steve’s favorite things to do, is to eat out. Remember—Ethne and my quantum leap goals (we plan to have 1996 bodies by Thanksgiving (AKA our Quantum Leap All Inclusive Vacation))? Of course, eating out doesn’t exactly fit into our weight loss goals; however a person can eat healthy options. Coincidently, Steve and I just agreed to (and even shook on it) that starting on Thursday will start a summer free of eating out (unless we are out of town or on vacation). and I SAVE BIG at restaurants. I receive emails like these promoting major savings! 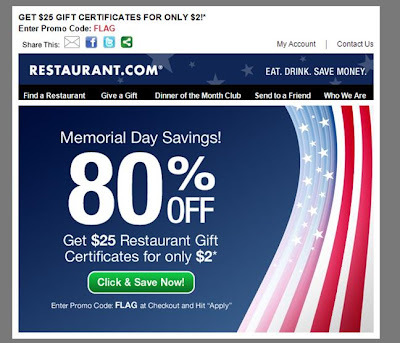 Restaurant.com has lots of promotions running all the time. I first heard of restaurant.com when Steve and I were planning our circular road trip across the US with Mur-Man. 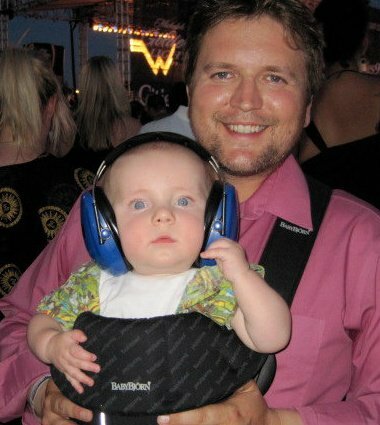 You see last summer we went from little city, ND to Omaha, NE to St. Louis, MO to Kansas City, MO to Nashville, TN to Chicago, IL to Wisconsin to Minneapolis (Mur-Man went to his first concert Weezer and LOVED IT!) to Iowa (Whit’s wedding) and then back to little city, ND. And we did all of this in one week! IT WAS FAN-TASTIC! 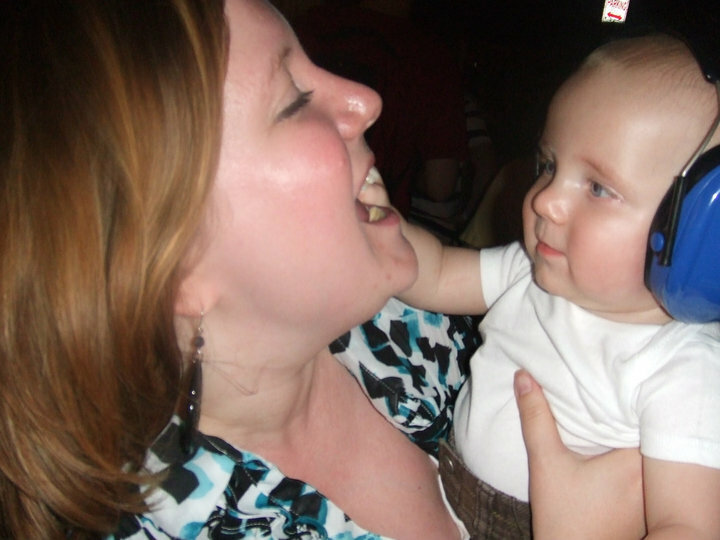 Me and Mur-Man! He loves to boogie! While planning the trip, I used Priceline to purchase all needed hotel rooms (we did stay with fabulous friends along the way most of the time). While researching deals, I discovered that restaurant.com was offering a deal (a $25.00 gift card for only $2.00). And so, Steve and I decided to try it. 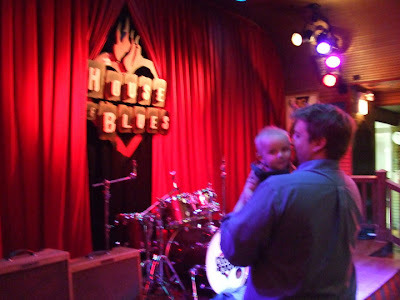 We purchased a $25.00 gift card to the House of Blues in the heart of Chicago and ONLY paid $2.00 and it worked. House of Blues was great--but even better because the total price tag was $2.00! Since then, I get email alerts on these sales all the time and have searched for restaurants in ND. We’ve stocked up, we’ve given them as gifts, and we have recommended these gift cards to friends. And so, we wanted to pass the savings onto you. Of course, there are a few rules and guidelines we have found that go along with these cards. First up, they don’t expire (at least we have found this so far, but sadly a few of our favorite restaurants did close prior to using the gift card, but of course we were ONLY out $2.00—it’s gamble you have to take). You can only use one gift card per table/group. Typically there is a required minimum bill amount (typically I have found that you must spend $35.00). Gratuity is included in your bill automatically (so if you want to tip less than 15% you cannot). Not every restaurant participates in restaurant.com promotions, but they are always changing. Try it out—your tummy (and your wallet) WILL LOVE YOU!